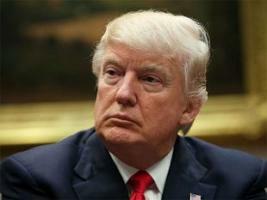 Washington, April 13 : US President Donald Trump has directed his top trade and economic advisers to take a fresh look at the Trans-Pacific Partnership (TPP) trade agreement he withdrew from in his first week in office, according to Republican senators. “He said he’s going to deputise (National Economic Council Chairman) Larry Kudlow and (US Trade Representative) Robert Lighthizer to look at re-entering the TPP negotiations,” CNN quoted Republican Senator Ben Sasse of Nebraska as saying on Thursday after meeting Trump at the White House. “Clearly, it’s a deliberative process and the President is a guy who likes to entertain a lot of different ideas,” said Sasse, who has been critical of the administration’s withdrawal from the trade deal and other protectionist moves. Sasse said Trump looked directly at Kudlow during the meeting and told him to “get it done”. White House spokeswoman Lindsay Walters confirmed the senators’ accounts of Trump’s comments, CNN reported. “Last year, the President kept his promise to end the TPP deal negotiated by the Obama administration because it was unfair to American workers and farmers. The President has consistently said he would be open to a substantially better deal, including in his speech in Davos earlier this year. To that end, he has asked Ambassador Lighthizer and Director Kudlow to take another look at whether or not a better deal could be negotiated,” Walters said. The move could mark the beginning of a stunning shift for Trump, who railed against the TPP during the campaign and made withdrawal from the pact a priority during his first week in office. He did so over the objections of Republicans who disapproved of his protectionist approach to trade. But in recent months, the President has also begun to signal a willingness to re-assess his stance on the TPP. In January, he said he would be open to reconsidering the deal if the US could strike a “substantially better” agreement.